This week this blog completes it’s one year. In fact, my other blogs on blogspot.com, myspace.com and multiply.com too completed one year of existence. When I started off, I was a novice both in my knowledge of hindustani classical music and blogging methods. I was so unsure of myself that I decided to write 4 blogs at once, believing that I could decide which ones to keep and which ones to abandon at a later stage, depending upon their popularity. It was a pleasant surprise to get an overwhelming response from other users on eSnips. In the beginning I made sure I uploaded only those songs which I liked personally. But writing on my blogs was a different deal altogether. I had to be careful not to prove a fool of myself in the age when 10 year old bloggers are common place. But after some time I discovered that it was not such a big deal after all. I started off with Blogger and soon came to know that it was easy to import blogspot blogs into wordpress.com and multiply.com (but not vice versa) and I really did not struggle too much in doing that. One mistake I did and which was a bit jarring to most of my visitors was that I chose the mask of King Tutankhamen (Pharaoh of Egypt) as my logo. Now, Tutankhamen has nothing to do with hindustani classical music even with your furthest stretch of imagination. I soon corrected my mistake by changing my logo to that of Lord Jagannath, an incarnation of Lord Krishna around whom most of our classical music is woven. I was again overjoyed by the fantastic response to my blogs especially those on blogspot and wordpress.com. Last month I abandoned my blogs on multiply.com and myspace.com because of the lack of flexibility they offer to their users. And also because, it really does not matter how many blogs you write on. At the end of the day people who like your scribblings, almost certainly will find you, no matter where you are. The only thing that’s important is how ‘search-able‘ your articles are on the web. WordPress.com and Blogger blogs are highly ‘Search Engine‘ friendly and that has helped me in getting that important chunk of regular visitors. Many a times I have resisted the temptation of turning this blog into a full-fledged ‘tips and tricks‘ blog (and letting it become one of the many that are in abundance on the web). I confess, these posts have proved to be more popular than those on the main theme of my blog i.e hindustani classical music. But I assure you this will never happen. This certainly will remain a hindustani classical music blog. Keep enjoying our musical heritage…till it is alive !! From now on I have decided to post 10 of my favourite songs every few days or so and their download links as well, for your listening pleasure at a later time. This week I am posting a few gems from the wondrous duos of Nazakat & Salamat Ali Khan, Amanat & Fateh Ali Khan (Patiala Gharana) and other maestros. Hindustani Classical Music : more hot links ! Carnatic music lovers must surely have visited http://www.sangeethapriya.org/, one of the biggest archives of Carnatic music concert recordings. This is an exclusive website of classical music ‘rasikas‘, maintained and run by them purely to share the ‘live concert’ recordings owned by them with other ‘rasikas‘. Commercial (studio) recordings are not permitted on this site. 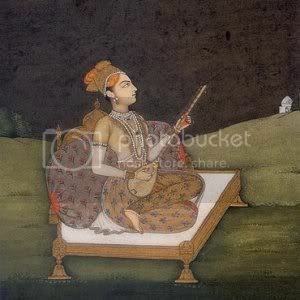 Some of the members here have uploaded many recordings of ‘hindustani classical music’ too. You will find very good recordings of Ajoy Chakrabarty, Rashid Khan, Parween Sultana and many more in live concert here. This one has an exclusive folder for hindustani classical music and is more elaborate in it’s listing. You will find most of the ‘Gharanas’ featured here. This one will keep you busy downloading for quite sometime. Again a big respite from eSnips. You will miss the ‘details’ feature of eSnips though, as none of the files have description and are listed ftp style. You could be spending much of your time in figuring out what to find where. More ‘non-eSnips‘ links will be posted soon.